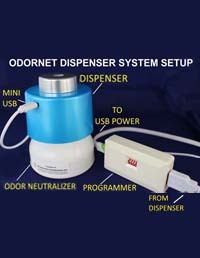 Small, portable, safe, convenient and easy to use & USB powered dispenser for use with ODORNET DEODORIZERS. Perfect for home, office, car, and travel use. 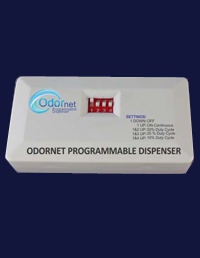 In-line, programmable, add-on device available to extend the use life of ODORNET DEODORIZERS and to optimize performace and maximize savings. Enjoy an elegant and natural indoor environment by cleaning the air of a wide range of malodors including odors from urine, vomit, feces, soiled diapers, pets, kitty litter, dead animals, rotting flesh, food, fish smell, cooking, garbage smell, ammonia, hydrogen sulfide, amine, aldehyde, cigarette smoke, gasoline smell, musty/mildew odors, kitchen odors, bathroom odors, basement odors, grease trap odors & sewage odors. 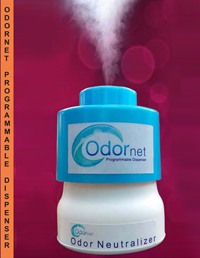 In-line, programmable device available to extend the use life of ODORNET Odor Neutralizers, to optmize performance and maximize savings. Enjoy an elegant and natural indoor environment by cleaning the air of a wide range of malodors including odors from urine, vomit, feces, soiled diapers, pets, kitty litter, dead animals, rotting flesh, food, fish smell, cooking, garbage smell, ammonia, hydrogen sulfide, amine, aldehyde, cigarette smoke, musty/mildew odors, kitchen odors, bathroom odors, basement odors & sewage odors. 2. 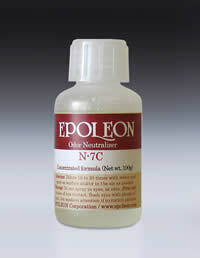 Transfer Odor Neutralizer solution into bottle. Do not overfill. 3. Screw On the odor Neutalizer bottle with solution to the Dispenser. 6. Connect micro USB connector of second cable to the Programmable Timer and the USB connector end to the USB Power Source. 8. Unit is ON and will continue to run as programmed till it is turned OFF. 1. Dispenser electronics is not waterproof. Do not immerse in water. 2. 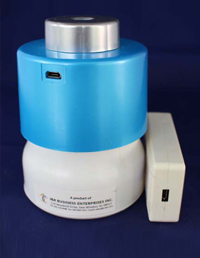 Ensure the solution wick is in gentle contact with the surface of the ultrasonic oscillator to enable even and consistent dispensing. 4. Do not use hard sharp objects to damage the surface of the oscillator. This can affect the volume of spray output and the unit may stop dispensing. 5. 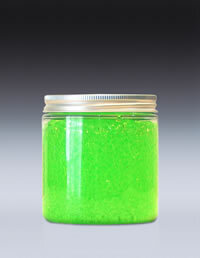 If the spray output decreases, check the solution wick and replace it.